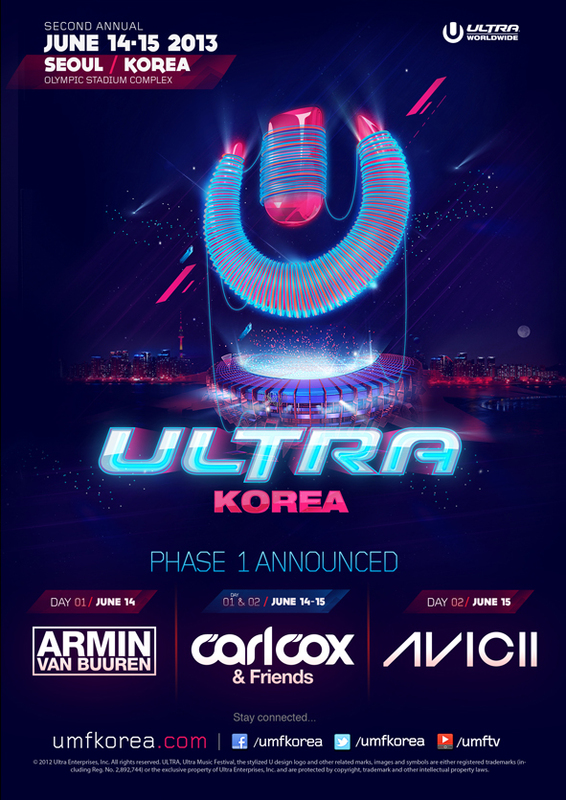 Ultra Korea 2013, an Asian version of the Miami-based Ultra Music Festival, will open June 14–15 at the Olympic Stadium Complex, promising to offer a site for a mammoth electronic dance get-together. Armin van Buuren, Avicii, Carl Cox, and Afrojack are only some of the A-list acts who will headline the event with their fist-pumping and electrifying house music. Eight new teams have recently been recruited from leading clubs based in Korea, Japan, China, and Indonesia, adding more of an Asian flavor to the show. The premiere of Kryoman’s robotic DJ set in Korea is set to steal the limelight. 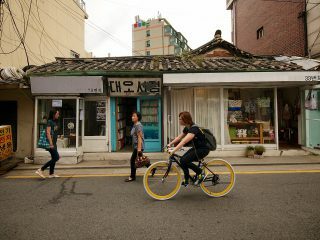 Le Monde goes to Busan’s Gamcheon Culture Village. The Daily Mail seems to have taken a keen interest in Korea’s plastic surgery culture. Korean cuisine is trending in New York. A theater group is helping immigrant women overcome their pain. The beautiful Seongsu Bridge, Hangang River and Namsan. What to do around Yangcheon Station. The QiRanger explores Gyeongju’s Bulguksa Temple and Seokguram Grotto. In case you missed the opening of Gyeongbokgung Palace at night. Check out this fantastic time-lapse video of Seoul. The Ditto Festival is preparing for its fifth edition; this year’s theme is “City of Bach.” The 2013 edition will kick off on June 9 and go until June 30, featuring violist Richard Yongjae O’Neill, pianist Lim Dong-hyek, Luxembourg pianist Francesco Tristano, cellist Michael Nicolas, and German violinist Anne-Sophie Mutter. Founded by O’Neill in 2007, the Ensemble Ditto quickly made a name for themselves in Korea with the annual festival. The festival is acknowledged with the appearance of young, prominent performers and the theme configuration. Marking its third year, the Ballet Festival Korea celebrates 2013 with a program featuring 15 ballet troupes from around Korea, from national ballet troups to individual dancers. Making full use of Seoul Arts Center’s many venues, the festival shows us the full spectrum of Korean ballet. Muse Incity 2013 will take place at Olympic Park on June 15, featuring only female musicians from Korea and abroad. With no discrimination in terms of musical genres represented, the festival seeks to showcase the wide musical spectrum that women musicians are upholding. Its international lineup includes Australian pop act Lenka, Japanese-Brazilian bossa nova singer Lisa Ono and Irish singer-songwriter Lisa Hannigan. Korean acts on the roster includes K-pop star Lee Hyo Ri, and also Han Hee-jung, Yozoh and Taru, who have risen to prominence in the local club scene around the Hongdae area. The Paris-based museum Le Petit Palais’s digital collection of 40 masterpieces will be exhibited n Seoul from June 13. The original Revelations collection has been dubbed Secret Museum on its Korea tour. Great masters, including Veronese, Rembrandt, David, Delacroix, Courbet, and Van Gogh, are brought together in a digital pantheon. The exhibition of digital videos is designed as a real journey, where each of the forty works tells its own story. In addition, spectators are led to rediscover painting through the seven themes structuring the event: materials, perspectives, shadow, light, drawing, emotion, and color. The Latin American Festival is Seongbuk Global Village Center’s signature cultural event, celebrating with friends, family, and community with food, beverage, music, and dance from the heart of Latin America. Since the first time of this event in 2011, the Latin American Festival has attracted over 17,000 visitors who love Latin culture year after year. Every year, many Latin American countries held their own traditional festivals. The Latin American festival of Seongbuk-gu introduces these festivals, shows the diversity of Latin American culture to local and foreign residents, and makes them understand other cultures. This year, the Latin American festival will take place on Saturday, June 8th from 12pm to 8pm, at Seongbukcheon Fountain Square at the Hansung Univ. 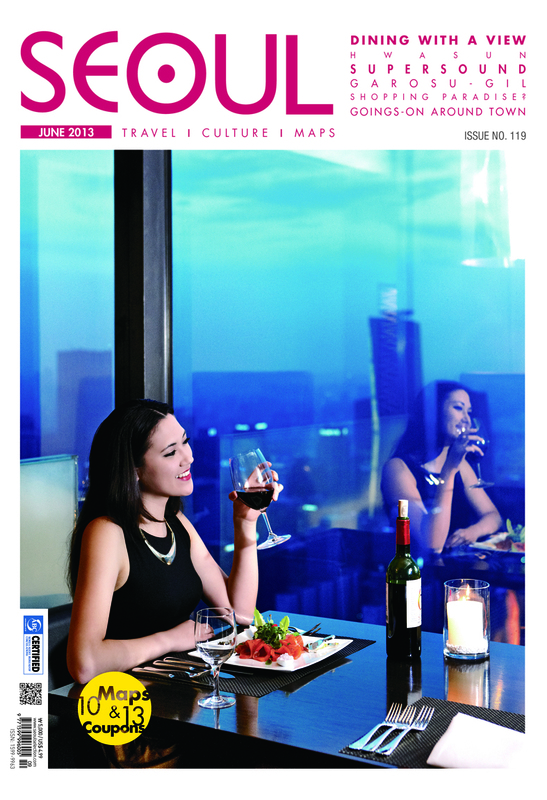 Station and will offer an opportunity to mingle with lovers of Latin culture from different countries. Visitors will be able to enjoy fascinating Latin music and dance performances with savory cuisine, authentic Latin American crafts, and interactive activities. “All In” is a party to promote the beginning of the “Light My Fire for Human Rights,” a collaborative project by street fashion brand A.F.M., musical collective Loose Union, and subculture webzine “AWEH” to spread the message of human rights group Amnesty International. The party includes a Loose Union concert where you can see NEW BLUE DEATH, ZUCK ZUCK GRUNZIE, USED CASSETTES and LOVE X STEREO. The Korean Yeongsanjae or literally “Vulture-Mountain Ceremony” is a religious performance-genre of its own, consisting of various arts such as music, dance, drama, literature and philosophy. It is rooted in classical Buddhism but has merged with diverse Korean traditions, becoming one of the most important and characteristic traditional Buddhist rituals in Korea. It was designated by the Korean government as Major Intangible Cultural Property #50, and since then Bongwonsa, the main temple of the Taego Order, has taken the initiative to revive and maintain it; it was listed as one of the “Intangible Cultural Heritages of Humanity” by UNESCO in 1989. Procession of monks following late morning chanting, Haeinsa Temple. Photo by Robert Koehler. Looking for Translators – Seoul Selection is looking for a few good translators (Korean to English) for general translation work. Those interested should send a resume and cover letter to Kyehyun at trans@seoulselection.com.